Among the industries I have studied, consulted and worked in (e.g. automotive, financial services, hotels and airlines), the importance of customer feedback is often touted to be core to their commitment to continuous improvement. Among insincerities this one ranks pretty high – especially in passenger aviation. Any observer of the industry (as a customer, employee, consultant or analyst) has witnessed the constant erosion of customer relations services. Two decades ago, if you were unhappy, you could visit a real human being at an airport or a city centre ticket office whose job it was to handle complaints – directly. Ten years ago, you could still call someone and talk to a person (even if they were an outsourced customer service representative half way around the world). Today, the best you have is an email address, a fax number, an onboard feedback form or a web based form. This has been accompanied by the erosion of ground staff availability from the airline you are flying with. Thus on the ground, if things go wrong, you have even less chance of seeking a resolution to your issue directly with employees of the airline. Airline executives and employees will argue that this is because of competition – that cost pressures are inexorably forcing airlines to cut back on people and requiring them to focus on labor allocation in areas of safety and efficiency purposes. Now if airlines were not spending substantials sums of money on running ‘bait and switch’ operations up-selling their product through advertising to get you on board only to disappoint you when they have you on board, they may have an argument about cost. Ethically, there is no conceptual difference to selling one image of your product and providing something quite different in reality that is witnessed in other ‘entertainment’ industries as is practised by the airlines. Airline executives confuse marketing positioning i.e. how you sell and market your product with strategic positioning i.e. how you configure your entire value chain to maximise value. What’s worse is that while expectations on low-cost carriers (LCCs) have been carefully managed with the average customer expecting the worst, yet accepting it because of the low prices they offer, so-called Full Service Carriers (FSCs) continue to charge exorbitant prices for their business travellers (NOT those who travel in business class by the way since most companies do not let their managers waste company money on short flights). Thus there is a huge dichotomy between what is sold and what is supplied in passenger aviation, perhaps more so than in many other industries. Readers of this blog will know how frequently I lament the illogic of the race to the bottom in the industry with FSCs bending over backwards to cut costs and in doing so paying homage to LCCs and implicitly acknowledging the superiority of their business model. What the FSCs also do in copying the LCCs is that they drive the passenger into the hands of the LCCs as well. Why should a passenger pay $500 for a 1.5hr roundtrip flight where you have the privilege of a bag of pretzels and a coke when you can pay half the price and treat yourself to a better hotel room or a nicer meal in your destination? And it gets worse. Even the frequent flyers are now singled out for this illogic. There once was a time when the one thing that got the regular traveller of FSCs a leg up on the occasional one was her ‘status’ with the airline. Be it an occasional upgrade to reward loyalty, enhanced hand luggage privileges, more miles per flight – all of these things counted. They don’t anymore. I have thought a lot about why FSCs are doing this. Yes, there’s competition from LCCs in a de-regulated environment. Yes, legacy costs – labor unions, pensions and so on are weighing heavily on their cost structures. Yes, they have become infatuated by outsourcing and had their financial lifelines cut by governments. You could argue that these put together can explain the awful state that FSCs find themselves in. I’d like to add two more related factors. First, they have stopped listening to customers and second, they find numerous ways to avoid the conversation. 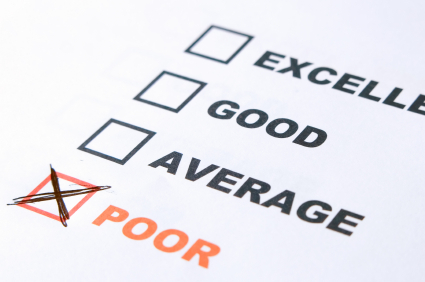 In short, customer feedback has become irrelevant. For those FSC top management who have decided to ignore one of the basic tenets of competitive strategy: that being different compared with the competition can lead to gains at the expense of your competitors, the obsession with cost cutting has seemingly trumped even basic commercial logic: if you’re going to take the low road, price it appropriately. RyanAir, SouthWest, Air Asia, Indigo Air all do it that way. FSCs try it but shouldn’t. On board when a customer wishes to escalate the issue – there’s no one to complain to once you get to the Purser. On the ground, where increasingly it’s difficult to find airline staff outside their ‘hub’ airports, you won’t be able to speak with anyone. One of my favourite examples of this is Budapest Airport where Lufthansa Group fly numerous times a day to Berlin, Dusseldorf, Frankfurt, Hamburg and Munich. They have an office – but “Lufthansa Staff Only” is written on the door. In other words: “Customer, what you think is not welcome and is definitely irrelevant here”. Another tactic employed by the airlines is when they provide feedback, it is generic, fill-in-the-blanks feedback. The customer relations team cut and paste a template letter adding specific details such as name of the complaining passenger, when the incident occurred alongside meaningless platitudes about how much they value the customer’s business and hope that the incident will not dissuade the customer from flying again. It’s insincere and meaningless. And they know it. Not dissimilar from faith in the repenting addict who promises to not return to his addiction, the lack of credibility of the airlines is obvious. Actually, it become embarrassing. Increasingly, front line staff have to defend the indefensible. I cringe at times when I listen to the contorted excuses offered by flight attendants and the rare-to-find ground service employee when the airline reduces service quality to save money. As someone whose professional life is centred on educating, training and facilitating understanding of better corporate performance and long-term value creation, I simply cannot understand the dominant logic of FSC airline executives. Copying your competitors who take the low road, price gouging your business travellers on your monopolised routes and eroding service quality on the ground while obsessively outsourcing your support functions is a recipe for long-term decline. And it opens real opportunities for two sources of disruption to your business model: high end disruption from subsidised competitors (think gulf carriers, Singapore and Turkish Airlines) who will cream off your clients willing to pay extra for quality and low-end disruption from the LCC players such as Ryanair, Wizzair, Southwest and Air Asia who will increasingly encourage your price-sensitive customers to defect to them. The FSCs are stuck in the middle. They’re systematically ignoring customer feedback. The lights are on, but no-one’s home.